The Government will go ahead with the Free Trade Agreement (FTA) with Singapore as it will enhance the Sri Lankan economy and the Agreement over Mattala Airport will be signed, within this year, with the Indian Government, to reduce the economic damage resulting from the continued maintenance of the Airport, State Minister of Finance, Eran Wickremaratne said. 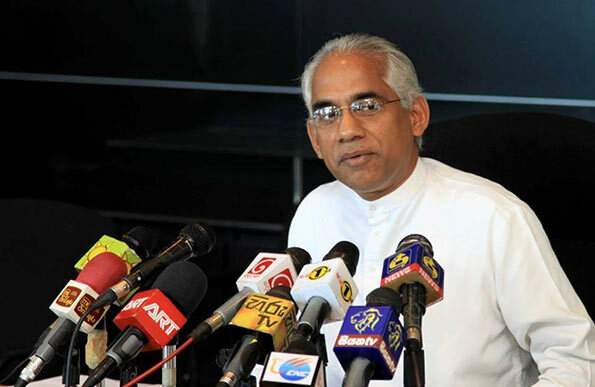 Speaking at a Media briefing held at the UNP headquarters, Sirikotha, yesterday (19) the Minister said that the country would not be able to move forward and enhance the people`s living conditions without reaching foreign markets through Free Trade Agreements. “Sri Lanka is a small country. We have only a small market. We can`t develop our economy without reaching foreign markets. After Independence, we have failed to implement a plan to improve trade, so, economically, we are not in a satisfactory situation as of now,” he further said. He pointed out that allegations regarding the FTA with Singapore were baseless. “Some say that Sri Lanka will become the dumping ground for Singapore. They forget the fact that we have already passed Anti-Dumping Laws during this Government’s tenure. Some say foreign professionals and employees will come to the country in large numbers, this will not happen. But, people of our country could use high quality technical equipment at low prices, while our exports will also be increased,” he also said. The Minister added that the Agreement to lease 70 per cent of the ownership of Mattala Airport to India for 40 years would be signed this year. He noted, the Mattala Agreement would be a win-win compromise. International Bids for the Airport which receives one flight every year? The Kurakkan Satakaya Billionaires should run their own airline from Mattala to International destinations. Only way to make Mattala productive. Surely, the Kurakkan Satakaya Billionaires can afford half a dozen jumbo jets, can’t they?